Jean Pierre presents this delectable classique ladies' timepiece, with a sleek champagne dial. 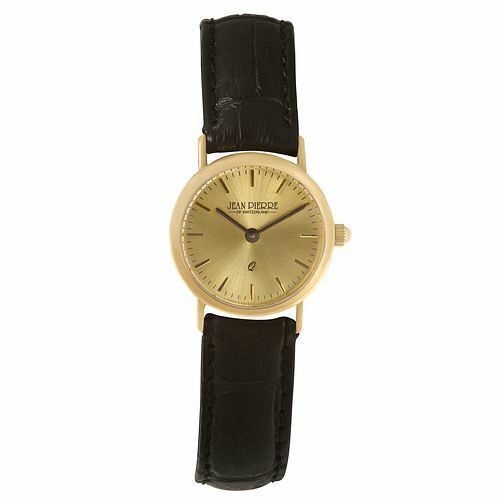 Featuring slimline gold tone hour indexes and two chic black hands, within a sophisticated 9ct yellow gold case. Complimented by a classic black textured leather strap. Classic timepieces for sophisticated ladies.